Chatter Boxes make pictures come to life with words! Great to use with fabric books, quilts and banners! METHOD: "Zigzag Appliqué". Just cut, stitch, trim, and turn to make fusible appliqués for a really cute project! Small Chatter Boxes use a 2 x 2" text box, Large (oblong) use a 2" x 3" text box. See how Mattie used Chatter Boxes in the cute turkey project video below! 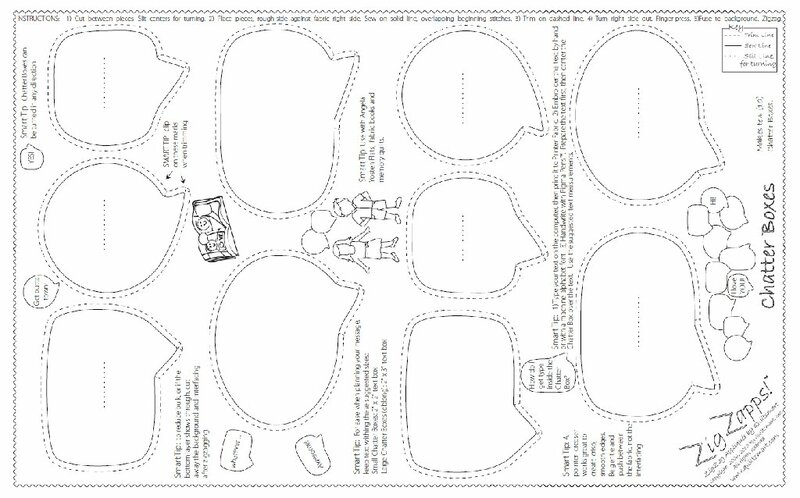 Chatter Box instructions and tips are printed on the interfacing. Five 12" x 18" fusible interfacing panels per pack. Each printed panel has 10 Chatter Boxes. Peek (scroll) below video to see Suggested Products.